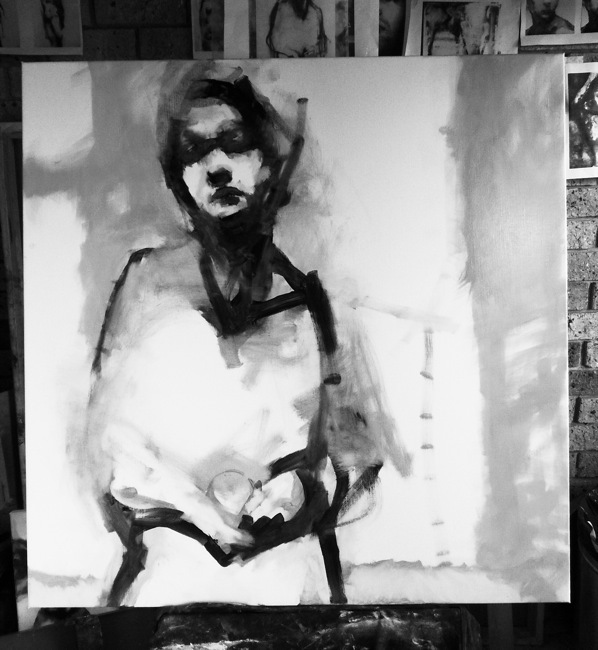 It is not certainty that compels me to rework a painting. This painting has been handled in surges. I have tried working faster, laying on less and less paint, but the more I attempt to pre-determine outcomes the less connected I feel to the end result. Absurd and outmoded though my approaches seem to me at times, ultimately I rely on instinct and the process either feels genuine or it's abandoned; its subject, its properties and its execution follow no recipe. ps. Currently working my way through T. Godfrey's Painting Today, Phaidon Press 2009, and highly recommend it.